London Southend Airport is delighted to announce a new collaboration with Southend United Community & Education Trust. 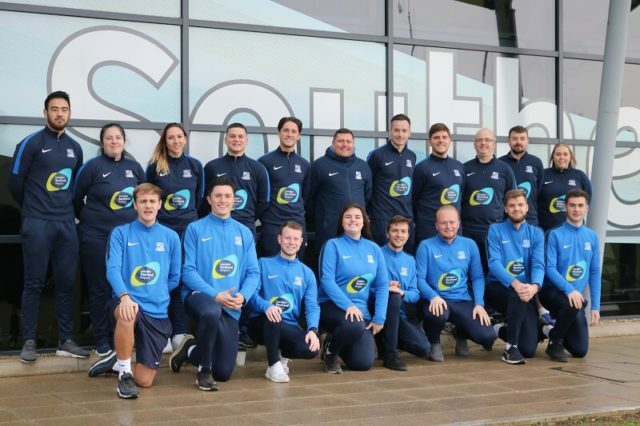 Southend United Community & Educational Trust is incredibly proud of its affiliation with Southend United Football Club, but the Community & Educational Trust (SUCET) is about so much more than football. It strives to engage with and enrich the lives of people of all ages, abilities, backgrounds and interests, using a varied Sports Participation, Health & Wellbeing, Education & Training and Community Cohesion programmes to reach people throughout South-East Essex. London’s favourite airport is providing sponsorship funds and work alongside SUCET on a number of initiatives that will be announced in due course. As a result of the relationship, London Southend Airport’s logo will also appear on all of the kit worn by SUCET staff.